~ I received no compensation and opinions are 100% my own or my family. Synopsis (from Amazon): During the weeks before Christmas, Christian families prepare to remember the birth of Jesus. As they do, family traditions fall into place, and children get very excited about the celebration to come. Countdown to Christmas: 24 Days of the Jesse Tree Tradition allows your family to take time to know the people in the Bible and to see their connection to Jesus. To begin the tradition, set up a small 2' - 3' high tree in your home and read one story every night in the days before Christmas. After each story, hang an ornament to remember the biblical figures, starting with Adam and Eve and ending with Jesus. Night by night, children learn that Jesus had a family just like they do. This beautifully illustrated book will help you establish a cherished holiday tradition with your own family. Countdown to Christmas: 24 Days of the Jesse Tree Tradition includes a complete set of Jesse Tree ornaments on heavy card stock paper. Each ornament features a color illustration to match individual stories in the book. Punch out the corresponding ornament after you read each story, add a ribbon or string, and hang it on a small Christmas tree. One (or more) Sentence Summary: What a beautiful book. Most of have Christmas traditions. 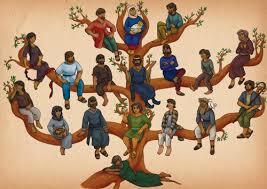 Several of mine were pasted down from many generations and others my husband and I have created for our kids. We love them all. I am so excited to add a new one this year. 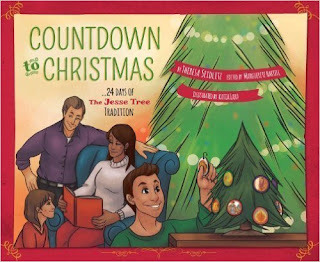 Countdown to Christmas, 24 Days of The Jesse Tree Tradition is a book that will guide us through the new traditions. The book allows your family to take time to know the people in the Bible and to see their connection to Jesus. Set up a small tree, 2 - 3 feet tall. Before reading each story, sing "O Come, O Come Emmanuel." Read one story every night, starting on December 1st. After each story, hang an ornament to remember the biblical figures in the story. After the last story on December 24th, sing my favorite Christmas song, "Silent Night." Start a new tradition with your family with Countdown to Christmas, 24 Days of The Jesse Tree Tradition. Yes - the author of Countdown to Christmas 24 Days of The Jesse Tree Tradition is 10 years old. All I can say is....Amazing. good makes it extremely hard for a charlatan to access your snapchatonlinelogine pictures have actually been seen. For example, when you nice.